Let’s be honest, we all want to get something for nothing, right? Who doesn’t want to make money just by existing? Sadly, people probably aren’t going to pay you to sit around and breathe. But they might be willing to pay you for growing your hair. 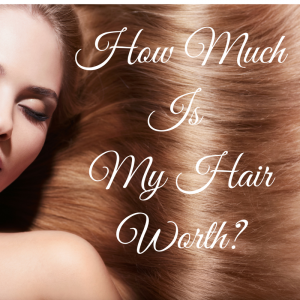 But how much is your hair worth? Let me brag for a minute. I have often been told that people pay big money to get their hair to look like mine. My hair is naturally red, curly, and very thick. It also grows pretty fast. I have a tendency to let my hair grow until it is so long that I’m sick of it, then I chop it all off and start the process over again. So I decided to look into selling my hair. After all, if I was just going to cut it off anyway, why not get something for nothing? I quickly found a calculator that told me that my hair could be worth almost $500! That’s so much money for something that I’m just carrying around! Now to find out how to sell it. Turns out, it’s not that simple. First off, the condition of your hair will help determine how much your hair is worth. Obviously, color, length, and thickness play a big role. After all, if the hair is going to be used to make wigs, it makes sense that they will want hair in a desirable color and a lot of it. But how you care for your hair also plays a big role. Has your hair ever been dyed? That’s a big downside in wig making. Is your hair heat damaged? If you blow dry or straighten your hair a lot, it might be worth less than you think. Conveniently, my hair is red and thick, and I’m lazy so I never blow dry it or straighten it, and I’ve never colored my hair. I have what is known as “virgin” hair. Awesome! So how much is this stuff worth and how do I sell it? The big online market I found online is BuyAndSellHair.com. And I discovered that $500 was likely a huge overestimate. Based on the various sold listings I could find, it looked like I might be able to get $100-$150 for my hair. Why? Because while I was very willing to share photos of my hair and photos of myself from the back so someone could see the full length, I was not willing to share photos of my face, my body, or videos of the hair being cut. I decided my privacy was worth more than the money. Another thing to note is that the site charges $14.50 for a 3 month listing, and you can bump your add for additional fees. That definitely makes a dent in how much money you get, if your hair sells at all. You can also sell on eBay if you’d like to go a more traditional route. Selling human hair on eBay is completely within their guidelines, which surprised me. 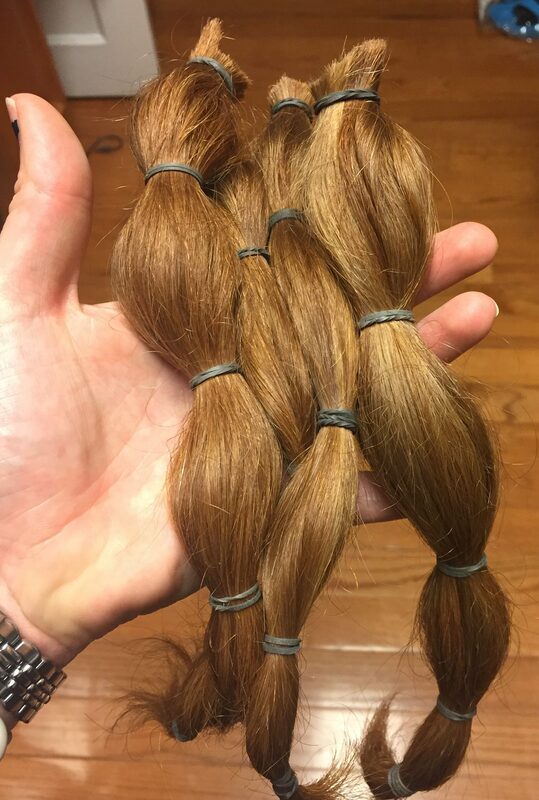 I personally decided to go a different route and donated my hair to Pantene’s Beautiful Lengths. I am well aware of the concerns that a lot of people have over these various charities – it’s possible that donations will be sold and not used for wigs. I’m okay with that – if my hair can be sold and used to fund a wig, that’s cool too. And by donating it, I was taking something I didn’t want anymore, giving it to someone who could find a valid use for it, and it wasn’t costing me anything. Sometimes, money making ideas actually are just too good to be true.